Savannah monitors are one of the most popular monitor lizards in the reptile industry, and they can make great pets for those that learn a few savannah monitor facts before making a purchase. Hailing from the open forests of west and centralAfrica, these medium-sized monitors are impressive and attractive animals, who exhibit an array of interesting behaviors that will keep you watching them for hours. However, they can be problematic pets for many novice reptile keepers. To be successful, you must provide them with a proper habitat, the correct food and a suitable temperature range to ensure they will thrive in your care. Savannah monitors primarily consume insects as juveniles before switching to a broader diet as adults. For the first three to six months of his life, you can feed your pet crickets, mealworms and silkworms, but after reaching about 12 inches in length, you’ll need to add some frozen-thawed rodents or chicks to his diet. Savannah monitors are active lizards who require spacious cages. At a minimum, the cage should be twice the lizard’s length and one-and-one-half times his length in width. However, cages two to three times this size are preferred. Try to provide as much cage height as is reasonable; 18 to 24 inches should be considered the minimum acceptable cage height. Savannah monitors tend to shed on a more-or-less consistent basis, which you’ll probably find unattractive. You can help eliminate this problem somewhat by providing your monitor with routine soaks in room temperature water or providing him with a damp hiding place. Savannah monitors often bear contrasting markings as juveniles, but these will usually fade with age. It can be difficult to know which youngsters will keep these markings and which ones will become relatively uniform in color, so ask to see the parents of the young whenever possible. Well-marked parents will generally produce young that retain more markings in adulthood. 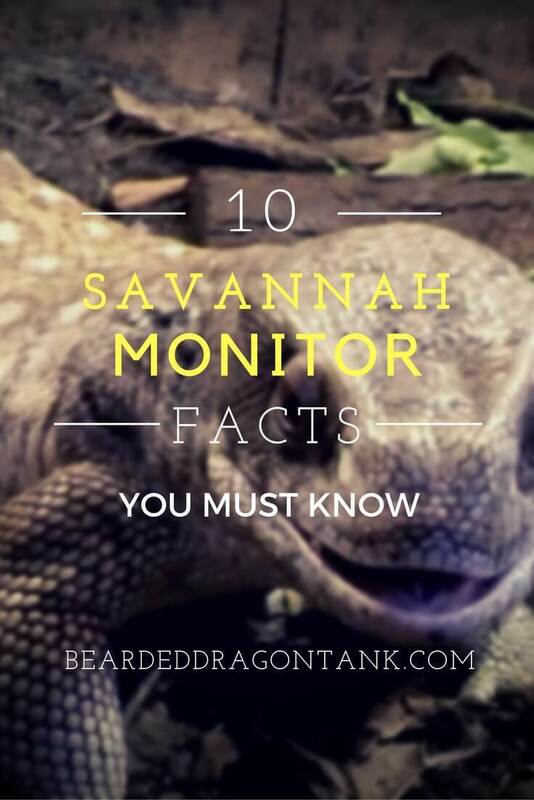 Most savannah monitors reach about 3 to 4 feet in total length. This doesn’t sound that big, but savannah monitors are powerfully built lizards that require respect. You may want to invest in a thick pair of protective gloves to help make handling these large – and formidably clawed – animals easier. Savannah monitors can become conditioned to feeding every time the cage door opens, so caution is warranted when offering food. Always be prepared for your lizard to lunge toward the cage opening with his mouth open. Savannah monitors require secure hiding places to feel comfortable. Secure lizards are generally tamer than insecure lizards, so it is wise to provide your lizards with tight, dark hiding spaces. Realize that savannah monitors do not like very large hiding spaces – they want to crawl into a small, inaccessible crack or hollow. A very important piece of savannah monitor info is that they require access to a wide range of temperatures inside their cage. Provide your savannah monitor with a range of temperatures by placing the heat lamp at one end of the cage. The temperatures directly under the basking spot should be between 100 and 120 degrees Fahrenheit, while the temperatures at the opposite end of the cage should be in the low 80s. Savannah monitors will climb branches placed in their cage – particularly while they are young. Climbing helps make the lizards feel more secure, and also helps to keep their claws shorter, thanks to the rough surfaces of the branches. Savannah monitors often become quite tame with consistent, gentle handling. Try to handle your lizard from a young age, so that he understands you represent no threat to him. Let him settle into his new cage for the first few days after you acquire him, but then begin gentle handling sessions every day. Be sure that each session lasts no longer than about 15 minutes to keep him from becoming stressed. Learning a few savannah monitor facts is the most important part of their husbandry. By learning the facts about them – including their biology, natural history, natural habitat, feeding habits and behavior – you are more likely to keep your new pet healthy and happy. Above all else, ensure that your new pet has access to suitable temperatures and a secure hiding place to keep his stress level low. Stress inhibits immune function, which can lead to an array of bacterial, viral or fungal diseases. But do these things and your lizard is likely to live a long, healthy life and bring joy to your life. If you are going to take the plunge of keeping a lizard in captivity, then you might as well provide it with living conditions that will prove to keep your pet in a good state of well-being and health. It won’t come as a surprise to hear that like other reptiles, Chinese water dragons are cold-blooded as well. So they rely upon external heating so that their body temperature is regulated. Another thing that you should keep in mind while considering the proper lighting for the tank of your Chinese dragon is that they are active during the day and tend to sleep at night. This diurnal nature of the Chinese dragons requires you to turn off the light in their tank at night as they rely on light to know if it’s day or night. The best Chinese water dragon lighting is hands down the natural sunlight. Although, I do understand that it’s not easy for everyone to let their lizard have access to sunlight. If providing natural light for your pet is a possibility for you, then that’s amazing. However, if you can’t, then you should go for the second best option which is UVB lighting. Whenever you have the opportunity to provide natural sunlight for your water dragon, you should, but under your supervision because water dragons could get overheated which is fatal for their health. Lighting is a very important element when it comes to the health of your Chinese water dragon. In the absence of sunlight, they require UVB lighting to produce vitamin D which is crucial for Chinese water dragons because they need it to process calcium. Calcium is important for the well-being of your dragon because the deficiency of calcium can lead to metabolic bone disease. UV lighting tubes are a great source of UVB lighting. UVB lighting is preferred because they provide the light waves which are pretty same as the sun. UV lights can’t get through glass so you should place the light right above the tank on a screencover. It’d be best if you set the lighting on timer because as mentioned earlier, Chinese water dragons are diurnal, which is why, you need to turn off the light in their tanks at night. 10-12 hours a day is the perfect amount of time for the light to be turned on for. A normal incandescent bulb will not do the job, however what is the right uvb lamp for a Chinese water dragon? There is a lot of information and a lot of missinformation on the internet. So I can understand if you might be a little bit confused when it comes to this topic. So the ReptiSun from Zoomed has proven to be one of the best UVB lamps in the market. It does the job, it does not burn out quickly, it is not dangerous for your pet in any way and it is not expensive. Further it provides a good strong, bright light, which is important for reptiles. I use this lamp for many years now and I never had a problem with it. So if you need to get a UVB lamp, this is the one you should go for. Further the ReptiSun comes with a lamp fixture which is great, because you can easily place this lamp above your tank on a screencover. Click here for more information on the ReptiSun! This is a very much discussed topic. Some people think that a normal incandescent bulb which gets warm is good enough to create a good basking spot for Chinese water dragons. 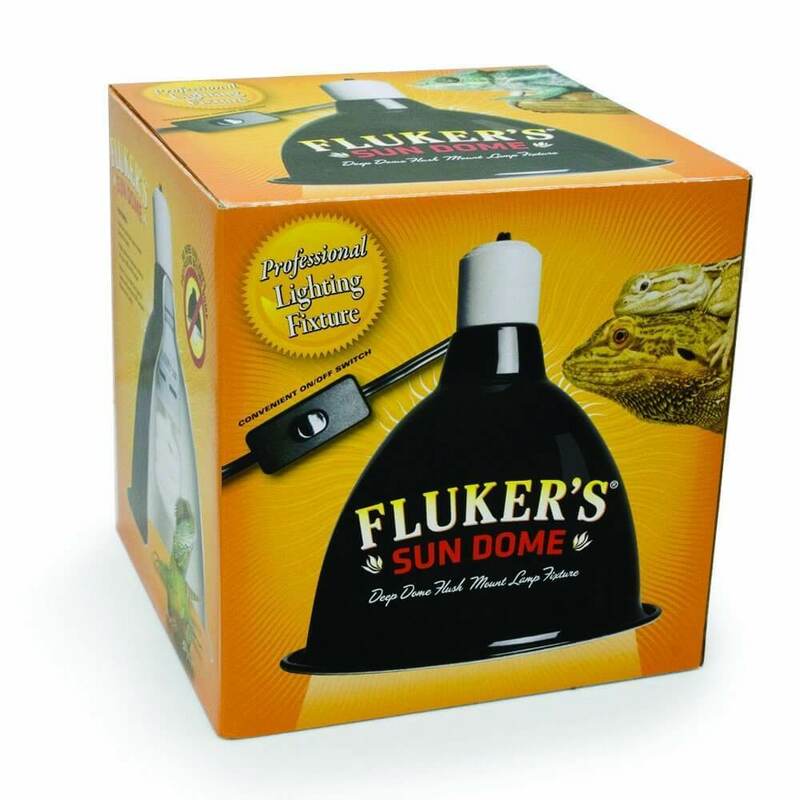 Others think that you need to get one of those special, official reptile basking lamps to create the perfect environment. The problem I have with most official basking spot lamps is, that they burn out quickly. I do not know if this is on purpose or if they are just not able to produce their bulbs right (Seriously, it has to be on purpose). A lot of people claim that they only used their bulb 2 weeks before it burned out. Luckily the manufacturers send you a new bulb when that happens. So if you want to use an official reptile basking lamp I´d recommend to use the lamp which you can see in the image on the right. It only has 5 star reviews on Amazon and it will be warm enough for a Chinese water dragon. Click here for more information on this lamp! There are also lamps on the market whcih have it all. A good bright light, UVB output and they are also heating lamps. Those lamps are getting more and more popular these days, because they have a lot of advantages over two seperate bulbs. 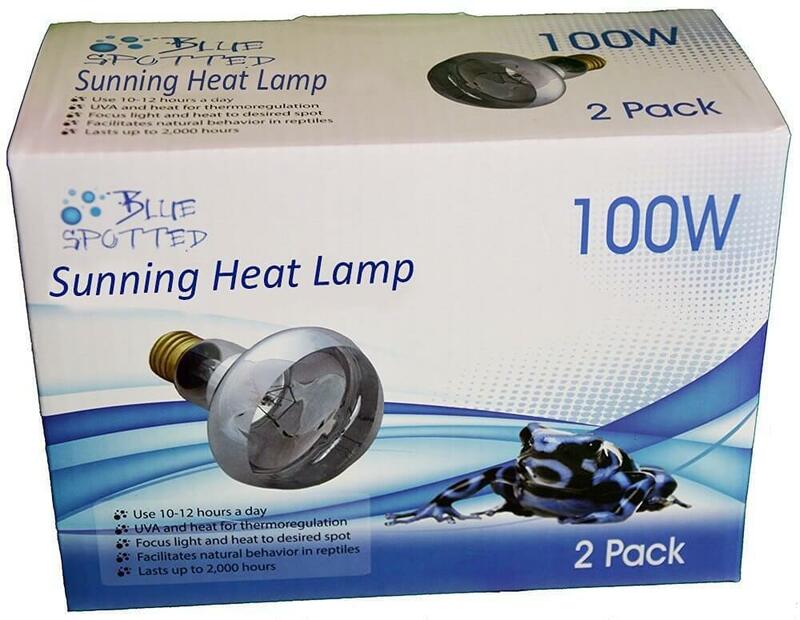 They do not burn out so quickly and they are way cheaper than getting a heating bulb and an UVB bulb. Further it is not so complicated for new reptile owners to set up the right lighting for their pet then. Simply get one bulb with a fixture, place it on your terrarium and you are good to go. There are some UVB bulbs on the market which are proven to be harmful for reptiles. No one really knows why they are still sold, but that is another story. 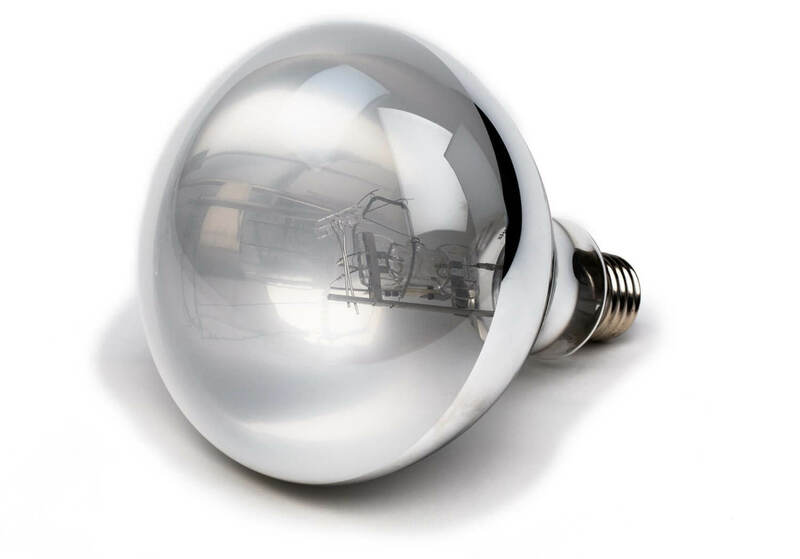 The bulbs I am talking about are UVB coil bulbs. Many reptile owners had huge problems with them, because they made their reptile very sick. I distinctly remember how my passion for lizards started back when I was a kid. I have a vivid recollection of seeing a beautiful green colored lizard which had gorgeous brown eyes at a pet store. I was fond of pets, but I had never kept an amphibian or a reptile species. At that time I didn’t realize that after setting eyes on that gorgeous lizard I would become a Chinese water dragon enthusiast. 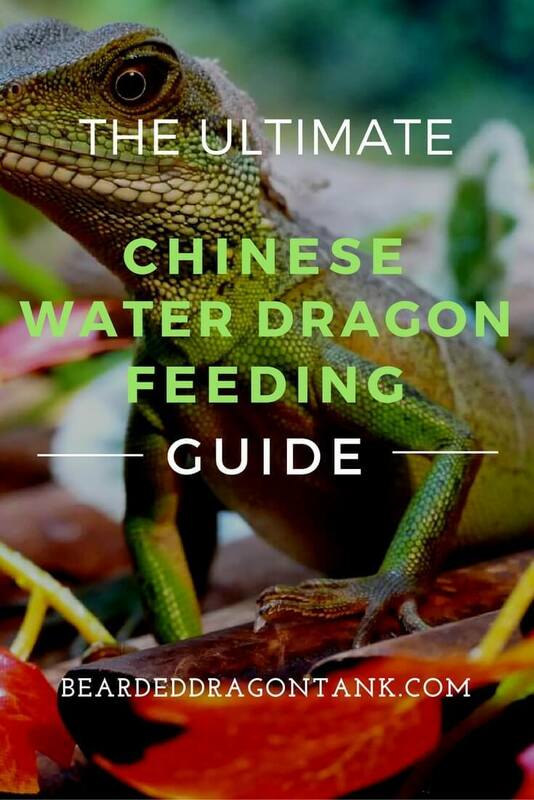 A decade ago it wasn’t so easy to find quality information on how you can take care of your Chinese water dragon, so I have learned to take care of my pet by doing a research on this topic. I gained knowledge by surfing the internet and reading books and spending all day in a local pet store together with other reptile lovers. A Chinese water dragon owner should be aware of the necessities that are required for this pet. Finding the best Chinese water dragon substrate really can be a problem, since most people today really do not know the dangers of most official reptile substrates. For a good Chinese water dragon owner, taking care of his pet wouldn’t seem like a chore. But it should be mentioned that their needs are very particular. The living requirements of Chinese water dragons change as they grow in size. Like for instance when they first hatch, a 10-gallon water tank is sufficient, but as they grow old, you need a bigger aquarium for them. 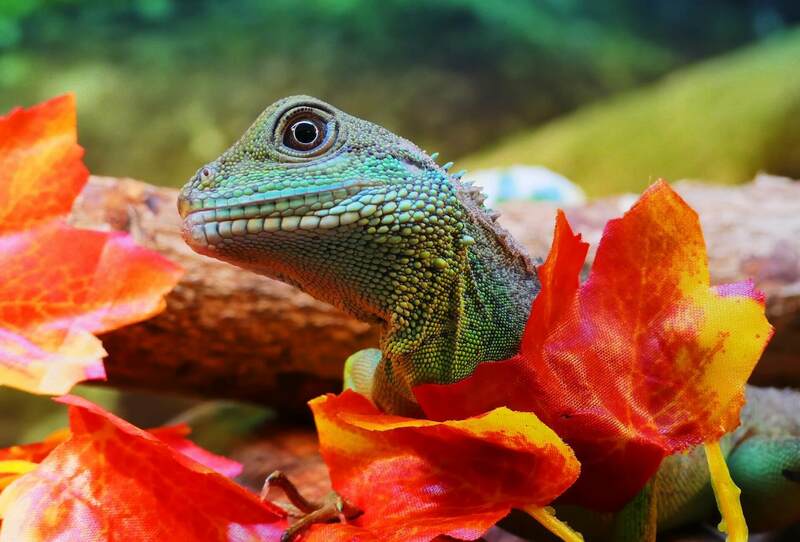 Now since we are talking about the ideal living conditions for Chinese water dragons, I should mention that most of those green creatures are used to digging burrows so if you want your pets to have a great time in their living space you should have a substrate in their aquarium. 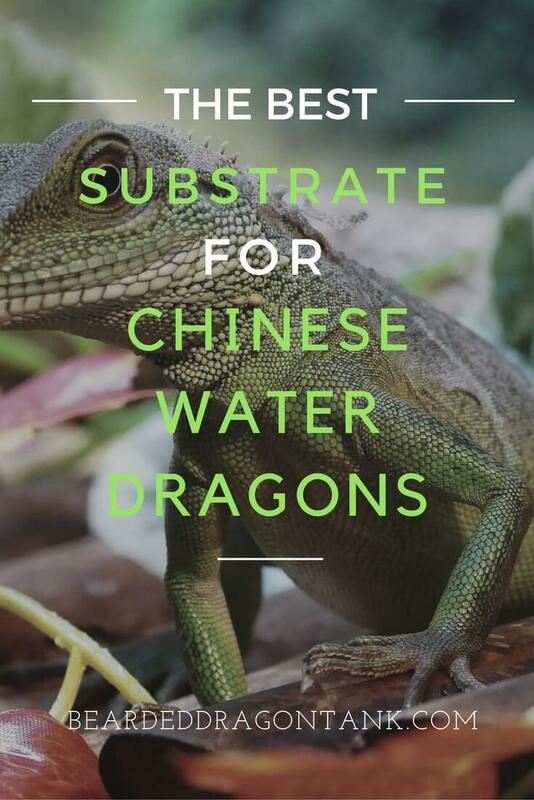 People who have had Chinese water dragons with them for long are surely aware of what a substrate is. As for the newbies, a substrate is referred to as the material which is used by pet owners to line the surface of the aquarium or terrarium with. Not only the substrate you choose affects the outlook of your water tank but it also significantly impacts the health of your pets. Substrates that most people use are cypress mulch, an orchid bark mixture; Astroturf with bound or melted edges; bed sheets; newspaper, or butcher paper; paper towels; ceramic tiles, and alfalfa pellets. Some people even use sand and that is probably the safest way to kill your pet, since it is very likely that your dragon eats some of the substrate while hunting crickets and that can and eventually will cause impaction. Cypress mulch and orchid bark seem to be a good option, however they are not as safe as you might think. There are many Chinese water dragon that died because of impaction after they ate some of the substrate. Even though it does not happen to often with these two substrates, I would not recommend you to choose it as your substrate. Do not even think about using newspaper or paper towels or similar stuff as substrate for your reptile tank. This is not an appropriate substrate for a Chinese Water Dragon. They love to dig and they need high humidity in their tank which you will not reach with that. You should always create a habitat which is very similar to their natural habitat. So you might wonder what the most suitable Chinese water dragon bedding is. Well, most people suggest that the best option for a Chinese water dragon owner is to choose non-fertilized potting soil. It may be hard to keep clean, but it’s the best option when it comes to picking a substrate. Even if your pet eats a little bit of the soil, there is no risk of impaction. Apart from that non-fertilized potting soil is the prettiest substrate of all and it will be easy for you to keep the humidity high with it. However, if you are guilty of using a substrate like sand then switch it with soil. Finding and purchasing soil shouldn’t be too hard. 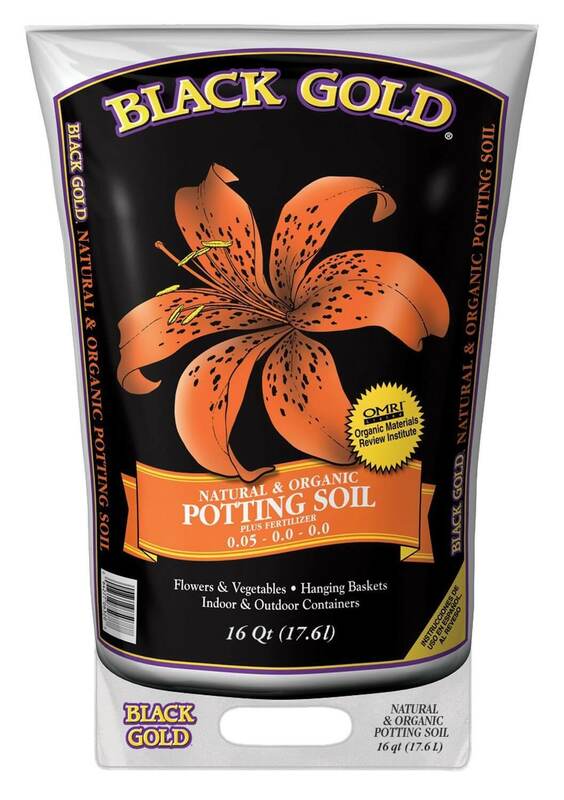 You can take a trip to your nearest garden supply store and ask for additive-free soil. If that’s not convenient for you, then you can dig it up in your backyard too, making sure it’s pesticide free. If you doubt that the soil might consist of bugs, then you can bake it in an oven for around 20 minutes at 350°F. There are other really good substrates out there in the market too which would be perfect for your Chinese water dragons. I recommend a substrate which is called Black Gold and it is 100% organic – Click here for more information. You can buy it easily on the web, and it will be delivered at your doorstep. So, going out to the market and looking for a substrate is one task that you can check off your to-do list. The Chinese water dragon diet changes as they grow up. You need to feed a hatchling every day, while it’s okay for an adult to be fed every 2-3 days. Although there are many people who prefer to feed their adult Chinese dragons on a daily basis, too. If you want to do that you need to feed an adult Chinese water dragon smaller portions to prevent it from becoming fat. This is a serious issue, since you can´t really see your reptile getting fat, because only the organs get fat. However, if your green creature seems frail then you can feel free to disregard this particular feeding routine and feed him good so that he can put on some weight. Another situation in which you can feed an adult Chinese water dragon every day is if he is recovering from a disease. You can even feed him more than once a day. Your pet might eat only a small amount of food in one sitting but you should offer him food again because chances are that he’ll be hungry again. If you don’t feed him whenever he is hungry then it might take a while before he gets back into shape. As a recent pet owner you may wonder ” What do Chinese water dragons eat? ?” Well, there is a variety of things that the Chinese water dragon food menu can consist of. The wide range of food includes crickets, feeder fish like gold fish, mealworms, waxworms, grasshoppers, locusts, pinkies (newborn mice), fuzzies (slightly older baby mice), butterworms, earthworms, king mealworms and of course cockroaches. Fruits and Vegetables And How Your Dragon Will Eat It! Some people suggest that the diet of Chinese water dragons should also consist of vegetables and fruits. Although, the fruits and vegetables should contribute only up to 10% – 15% in the total diet of the dragons. However this is not always easy. Only a few Chinese water dragon owners find it easy to feed their pets fruits and vegetables as most water dragons simply won’t eat fruits and vegetables. The trick is to hold it in front of its nose and slightly wiggle the salad, or fruit so that the dragon thinks that it is moving. Eventually the little water dragon will learn that fruits and vegetables are food and you won´t have to wiggle it anymore. There are some good vegetables like kale, spinach, collards, lettuce, yellow squash, sweet potato, parsnips, broccoli, green beans and carrots, which can be fed to your lizard. If you are meaning to feed insects to your water dragon, then you should feed it worms in moderation. The reason behind that is worms have hard indigestible exoskeleton which could cause illness to your pet. If you feed worms to your Chinese water dragon in large quantities, then there is a chance that it might get impaction. Now that’s something you should think about before feeding worms to your Chinese water dragon. Apart from that worms do have nutritious value, that is of course if they are fed in moderation. They have a high phosphorous content but are low in calcium. I suggest that you use worms more like a treat. Focus on crickets, locusts and cockroaches. Chinese water dragons often get bored of eating the same thing over and over again. If you have been feeding it locusts every day and you see the water dragon uninterested in eating them then you should think about switching its food every now and then. You can also feed the water dragon during different times of the day. One of the concerns that people with lizards share with me is that they wonder if it’d be okay to feed their Chinese water dragon with the worms they find in their backyard. Well, it is hard to give an answer on this. I mean, those worms could be contaminated with pesticides which could be fatal for the health of your lizard. On the other side if you let your dragon run around in your garden, maybe on a leash, you can´t stop it from eating insects. I just recommend to see a vet on a regular base if you let your dragon eat insects from outside. Not only because of the pesticides, but also because of the parasites that might live inside your Chinese Water dragon. Gut loading is a very important part of the feeding process. You should always feed the insects you are going to feed your dragon with healthy stuff like carrots, salad and other vedgetables. There are a lot of supplements for reptiles, however you do not really not a lot of them. When it comes to feeding I only use calcium to powder it on the feeding insects. Calcium in combination with a good UVB light prevent your Chinese water dragon from getting metabolic bone disease. Metabolic bone disease is a very seious issue and it is most probably the most common disease reptiles in captivation suffer from. However it is not a big deal. 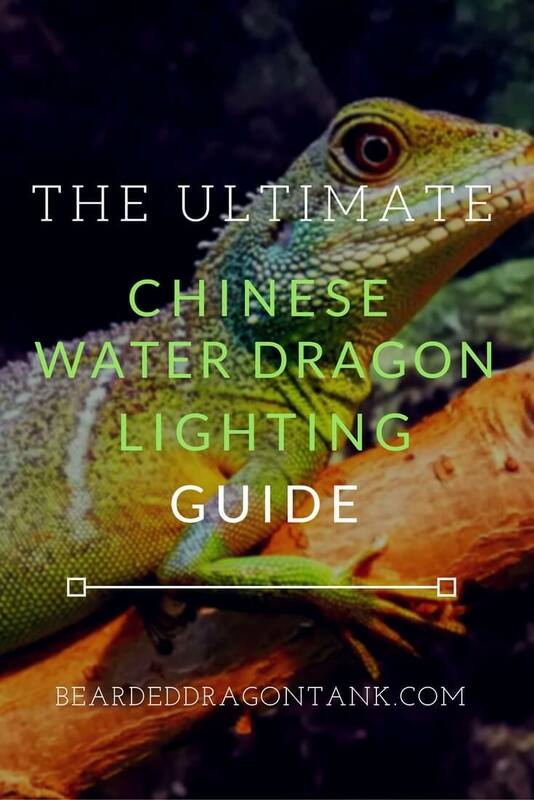 Simply get a good UVB light as you can find in this article about Chinese water dragon care. Further get a good calcium for your feeding insects. The calcium on the right is one of the best you can get and it is very cheap as well. 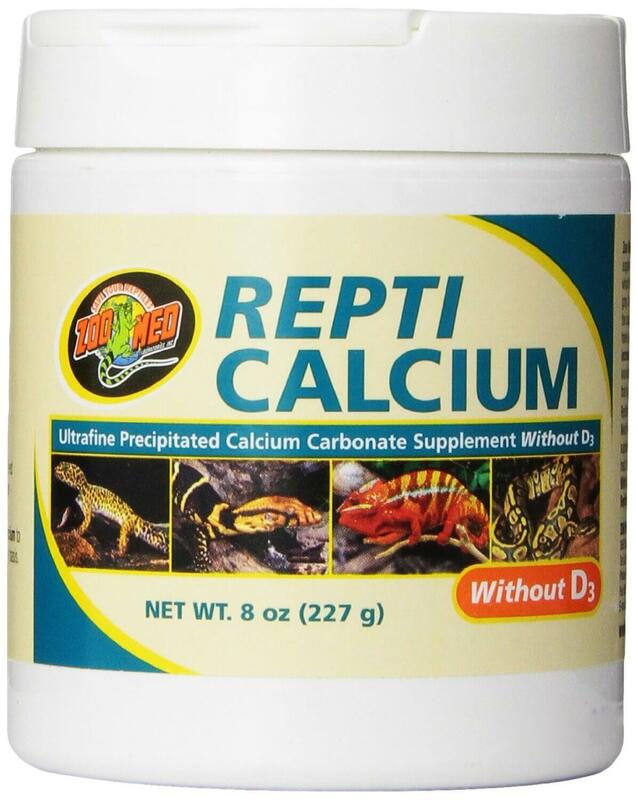 Get the Repti Calcium here! Besides the calcium I recommend to use a multivitamin powder as well. However there is no need for using it more often than once or twice a month. It will fuel your reptile with a lot of very important vitamins and I think I do not have to tell you that this will make sure that your Chinese water dragon is in best shape. 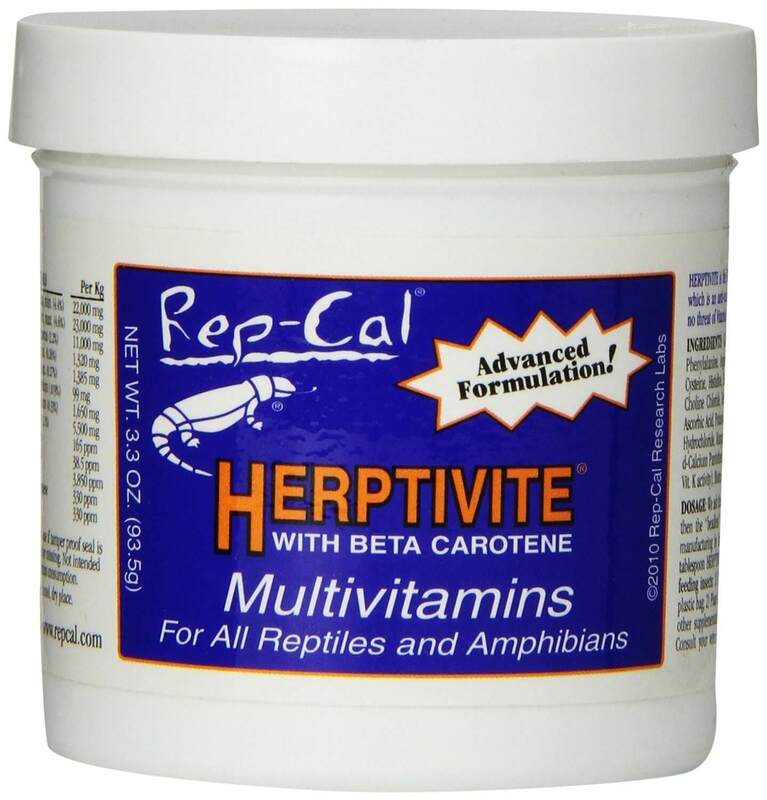 I use the HERPTIVITE Multivitamin for all my reptiles and I highly recommend it. I use it for a very long time now and never had any problems with it. You can get the HERPTIVITE Multivitamin here! This is a much discussed topic. Some people do feed their dragons small mammals on a regular base, others do not do that, since they do not really see a need for that. Personally, I hate it and I almost never do it. In my opinion there is no need for feeding small mammals, since Chinese water dragons in captivation have more than enough food and energy and there is no need for such a food. If you want to feed your Chinese water dragons small mammals I recommend to not feed it to often, because your dragon can get fat easily then. The only situatiuon I would feed my dragons small mammals is, when they were sick and are recovering. It helps the recovering process immensely. Chinese water dragons should have water in their enclosure at all times. If there is a large amount of water then in addition to drinking the water they will swim in it too. One problem is that Chinese water dragons will defecate in that water which is why you will need to clean it every day. A tricky part about drinking water is that Chinese water dragons only see moving water. 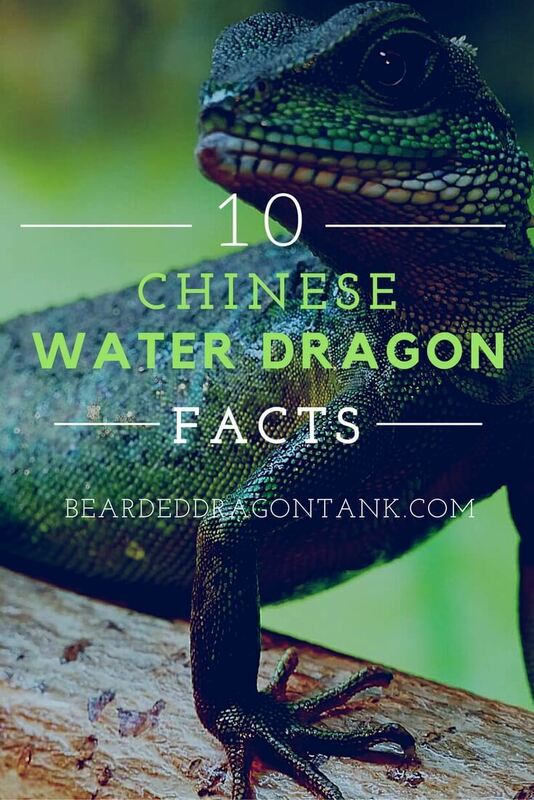 Author beardeddragontankPosted on October 3, 2016 Leave a comment on What Do Chinese Water Dragons Eat? More Than You Think! Firstly, if you are reading this article, then it either means you are thinking about getting yourself a Chinese water dragon or you have already purchased one. Either way, congratulations! Water dragons prove to be wonderful pets. If you take proper care of your water dragon, then it’s very likely that you will have a very tame and wonderful pet on hand. To help you with taking care of your new family member, I have compiled a list of Chinese water dragon facts. I want to help out the amazing water dragon owners, such as yourself so that you can make the most out of having this amazing pet. I hope that you embark on the journey of pet ownership with a lot of confidence. So without further ado, below are some Chinese water dragon facts. One of the main water dragon facts is that many people in the area where Chinese Water Dragons live think that water dragons are real dragons. But of course they are not real dragons, even though they look very similar. It can reach up to a size of 35 inches and its lifespan is about 12 to 20 years. 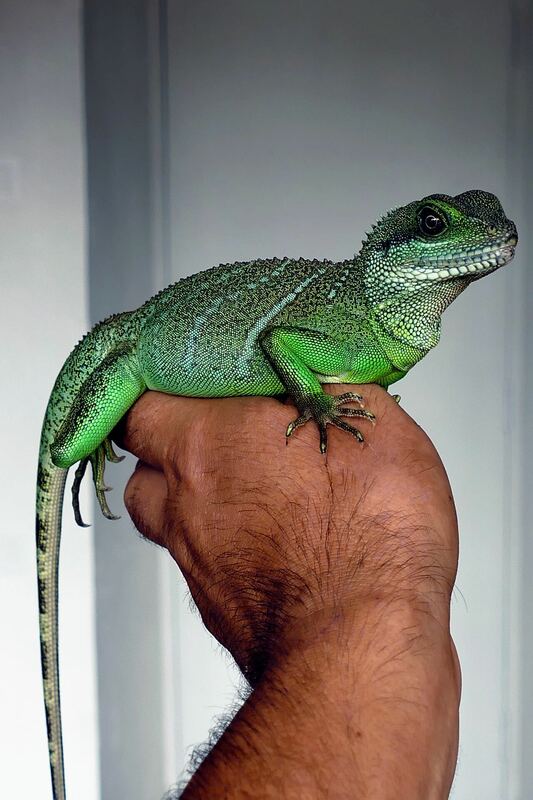 When Chinese water dragons are babies, their size is around 4 to 6 inches so they can be easily kept in a 10-gallon big water tank but as time goes by and they start to grow, you will have to shift them to a bigger aquarium, eventually. Another one of the facts about Chinese water dragons is that they need quite a unique habitat. They usually occupy the land where there is running water or streams. You will often see the water dragons lying on rocks or on trees in the sun. Yet another one of the eastern water dragon facts include the point that Chinese water dragons are getting more and more popular these days due to their inexpensive price. This affordability factor has gotten a lot of people from all around the globe to import them from China or Indonesia. Water dragons are able to breed when they generally reach the age of 2 years. That’s when their secondary sexual characteristics start to develop. Most salespersons in pet shops do tell you that they can see if it is a male or a female even if it is still a baby, but most of them just do that to sell. In fact they have no idea. So be careful! Another one of the Chinese water dragon facts is that you should initially purchase one water dragon if you want to buy a baby. But in that case you should be sure that the shop you purchase your pets from will accurately identify the male and the female dragon from the lot, because as discussed earlier, it’s tough. One of the weird facts about water dragons is that they almost always poop into water. Almost like humans I just had to mention this, haha. As I said in Fact 5, males are very territorial. However females are very friendly when it comes to other chinese water dragons. So if you are not sure about the gender of your current water dragon, but you want to get a second one right now, just go for a female. They will get along with a female, if your current dragon turns out to be a female and they will also get along with a male. Another one of the facts about Chinese water dragons is that they are more often, than not, carnivorous but at times they eat vegetables too. If you own those cute water dragons you should at least feed them 20% vegetables, herbs and similar food. Last but not the least, water dragons are a part of Chinese horoscopes. Unlike the typical horoscope, Chinese horoscope is made up of five elements which are Metal, Water, Wood, Fire and Earth. So there are Metal Dragons, Water Dragons, Wood Dragons, Fire Dragons and Earth Dragons.